Join us for a party! We'll be unveiling our holiday displays on Nov 9th, from 5-7 pm. 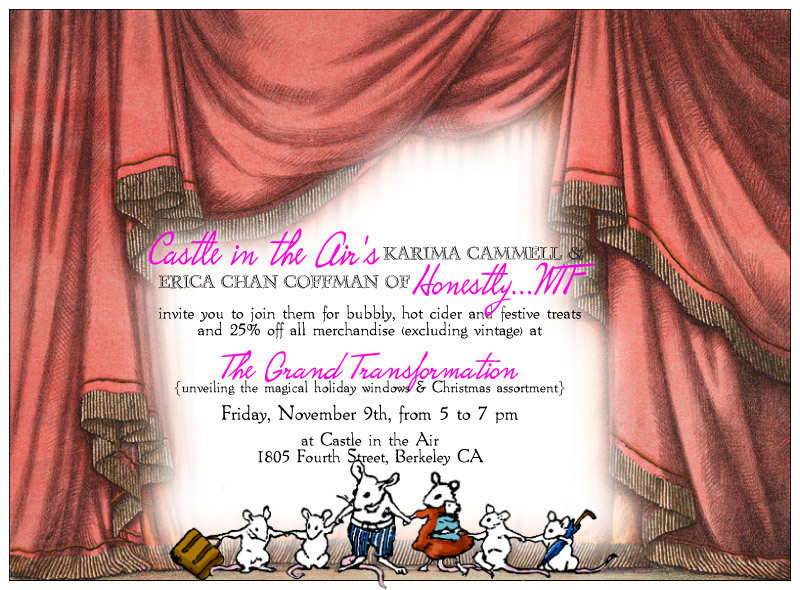 We are thrilled that Erica Chan Coffman of honestlywtf.com will be celebrating with us!